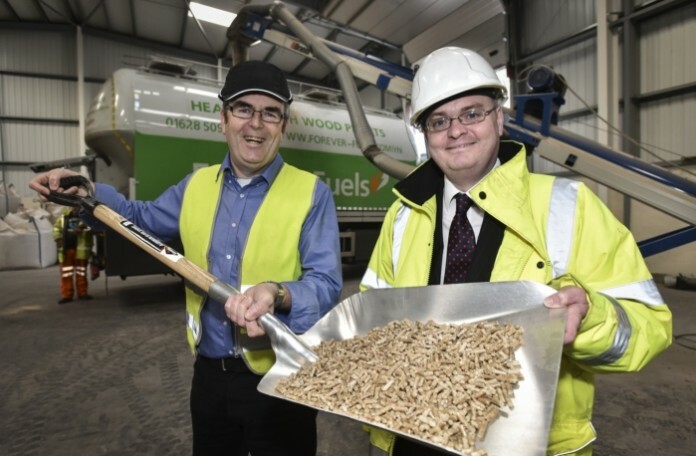 Cradley Heath-based Intervate, a leading manufacturer of wood pellets for use in renewable heating systems, has expanded in to additional premises to support the continued growth of the business. Legal advice was provided by Wolverhampton-based solicitor Andrew Wynne of FBC Manby Bowdler. Established in 2008, and originally based in Coventry, Intervate has enjoyed sustained growth over the last eight years with turnover now at £3.5m. Soon after the business was launched, it became apparent that larger premises with modern warehousing facilities, good grid connections and accessible transport links would be vital in realising the potential growth of the business. And so, three years ago the business made the move in to its existing 18,000 sq ft premises in Cradley Heath. This move was also supported by the FBC Manby Bowdler team. With Intervate’s new premises now fully functional with the inclusion of a 15kg bag packing and palletizing line, Julian is hopeful that the continued growth in revenues will allow the business to open a further site, possibly around the Welsh Marches, within the next two years.